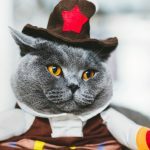 Compared to many other types of domesticated pets, cats are a popular choice among apartment dwellers due to their (typically) smaller size and their low maintenance. 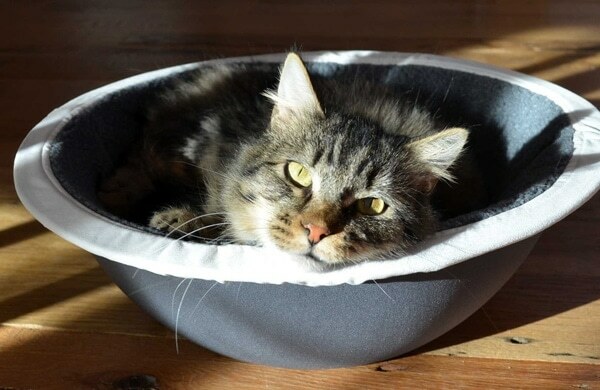 Still, while a cat may not take up a great deal of space or need a yard in which to roam, felines do need some space to call their own—and not all cats are suitable for apartment living. If you’re thinking about bringing a feline friend into your apartment or other small space, choosing a low-maintenance, smaller cat will keep everybody happy. 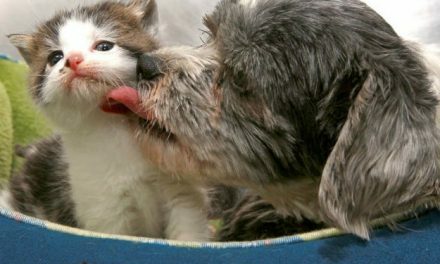 And remember: always adopt, never shop! 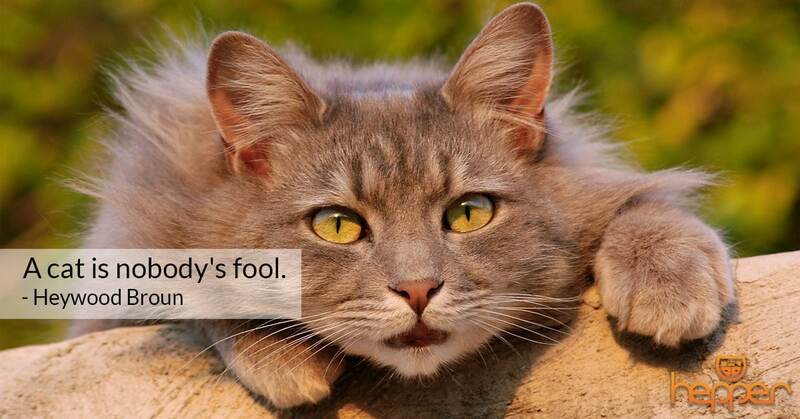 By visiting local shelters and animal rescues, you certainly will find a cat perfect for your home. The cats below are suggestions only – EVERY cat, whether purebreed, mixed, or unknown is special and deserves a loving home. Go to the local adoption facility and discuss your living style with them. Meet lots of cats and follow your heart! The name says it all! Size-wise, munchkin cats generally don’t reach more than nine pounds once full-grown. These unique kitties are characterized by their long bodies and short, stubby legs. They can be both short- or long-haired and tend to have friendly personalities, making them great for apartment living with children and/or other small pets. 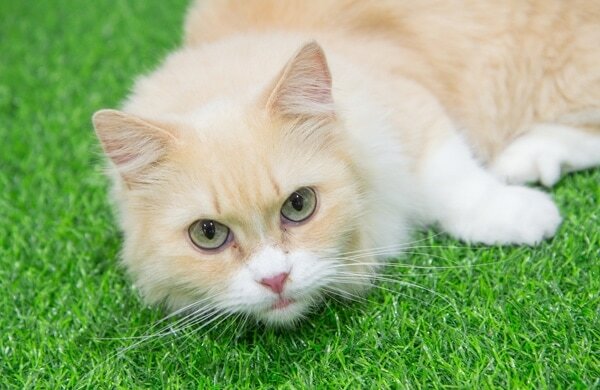 Munchkin cats are usually quite playful and will need a fair amount of attention and daily exercise, but they take up very little space! Another excellent cat for apartment living is the sphynx, which usually range in weight between just six and twelve pounds when full-grown. 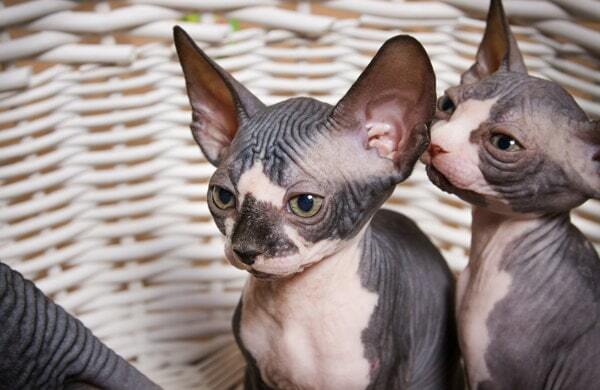 Sphynxes are very unique because instead of being covered in fur, they have a very fine down coating that actually makes them appear hairless. 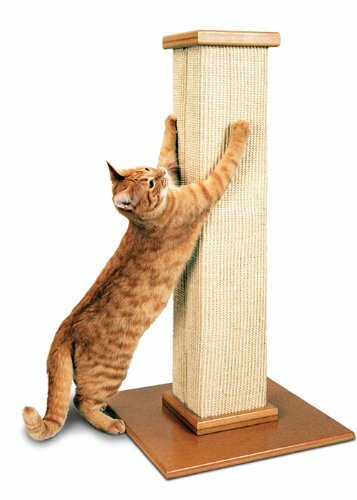 This makes them a great choice for those who want the companionship of a cat without the shedding that comes along with it! Looking for a petite cat with an oversized personality? 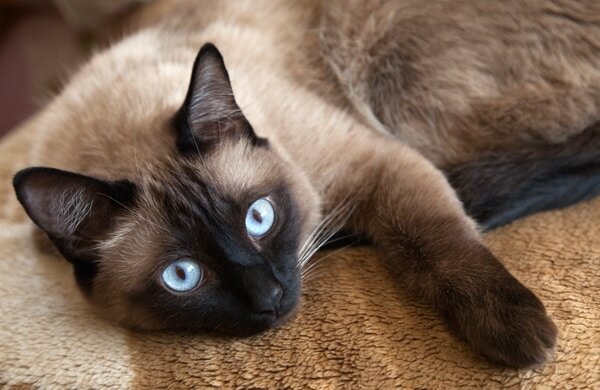 The Siamese is known for having a playful, “doglike” personality, making it a popular choice for apartment living. Plus, these kitties tend to be on the smaller side, weighing in at around 10 pounds. 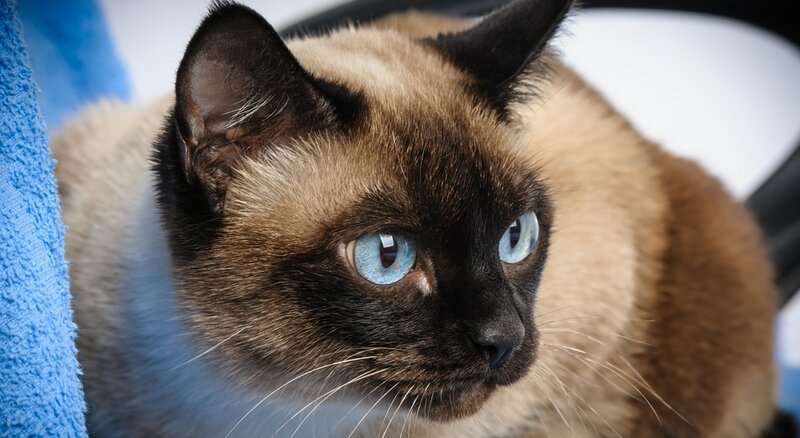 A Siamese may be the right cat for you if you spend a fair amount of time at home and are able to give your feline companion the attention he or she will likely demand. Why Are Some Cats Smaller Than Others? 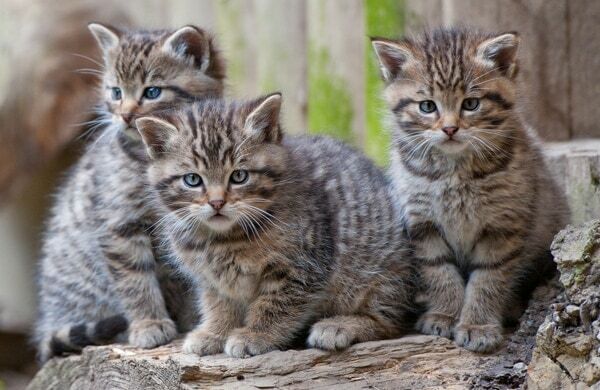 While these are a few of the notoriously smaller types of cat, keep in mind that cats can vary greatly in size based on their genetics, lifestyle, and diet. And of course, a cat of any kind can be born a “runt” and will be more likely to remain on the petite side even as an adult. 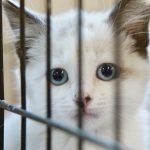 When looking at adoptable cats, consider asking a shelter/rescue worker to specifically show you some of their smaller kitties. You might end up coming home with a tiny tabby or a compact calico! How Much Space Does a Cat Actually Need? 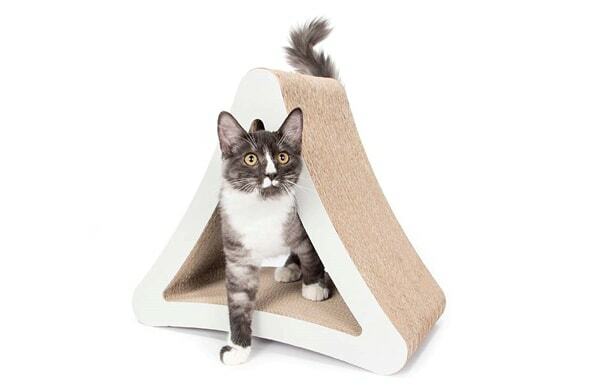 Space needs can vary greatly depending on your cat’s size and personality. 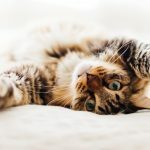 Some cats will be content to spend most of their days lounging on the same spot on the couch, whereas others may prefer to stretch out and roam around. 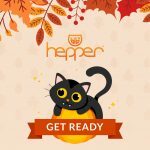 Generally, however, a cat will be content so long as he or she has separate spaces for eating, using the litter box, and lounging or sleeping. 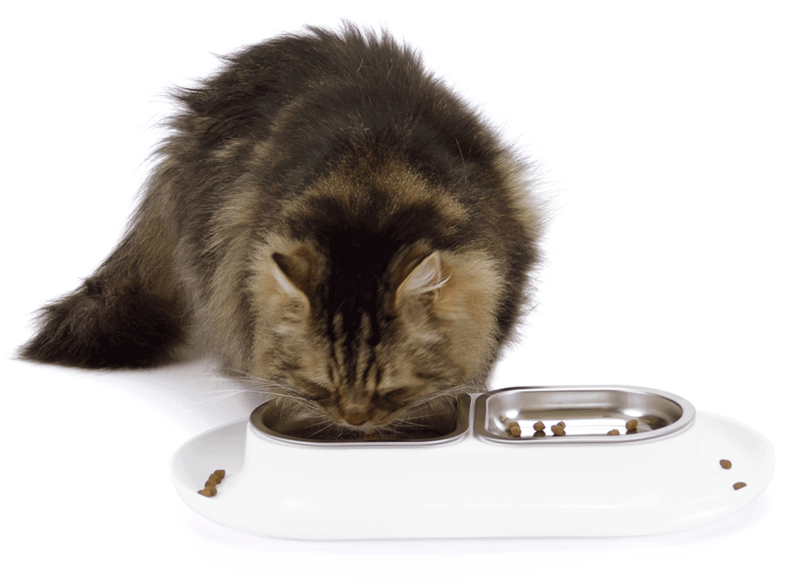 This means your cat’s food and water should ideally be kept in an area that is separate from the litter box. And if you plan on adopting more than one cat, make sure each kitty has his or her own litter box and food station. Cats make for ideal apartment pets and excellent companions. 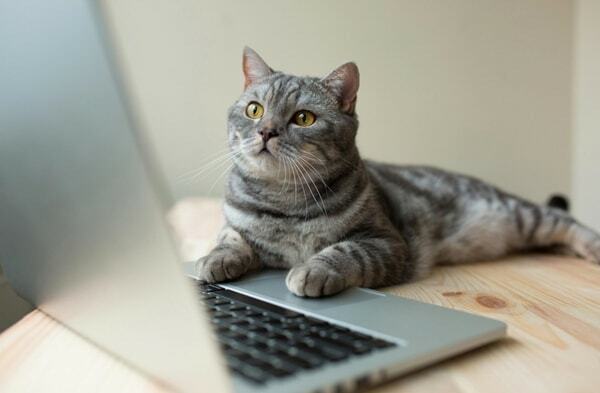 Which of these small cats sounds like the best match for your needs? 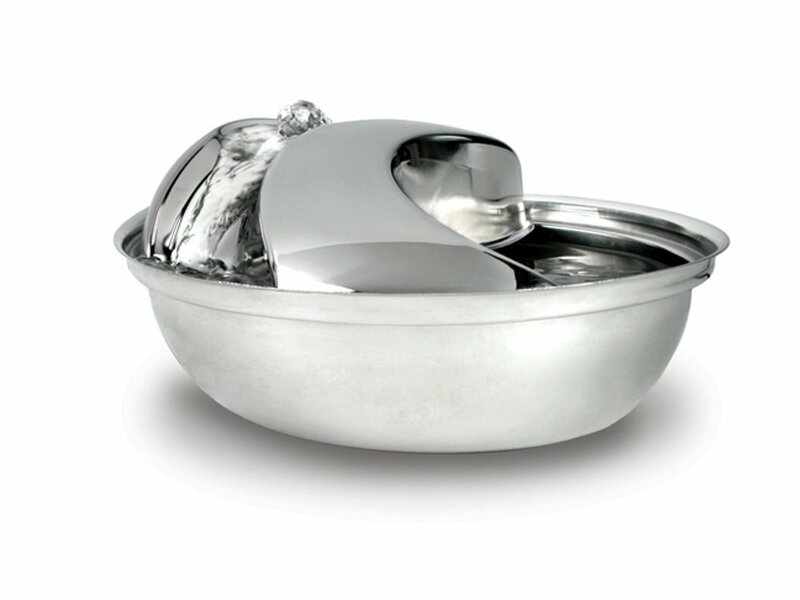 Our own Hepper NomNom Food Dishes have a built-in tray to keep crumbs off your floor. 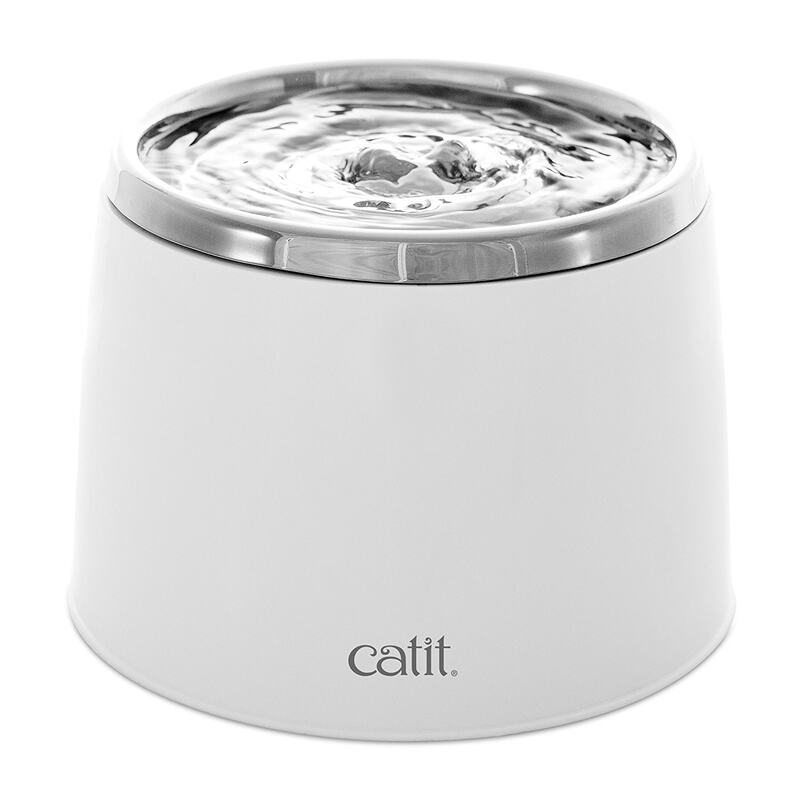 Hydration is important for cats too! Here’s two nice stainless steel fountains that we use at home.